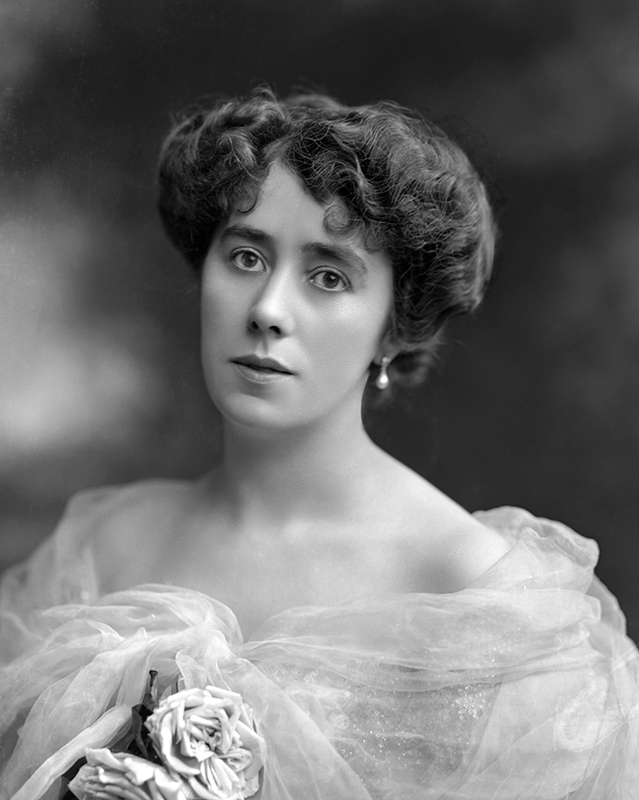 Mrs Alfred Charles William Harmsworth, later Viscountess Northcliffe, then Lady Mary Hudson, née Mary Elizabeth Milner (d 1963). Sitter: Mrs Alfred Charles William Harmsworth, later Viscountess Northcliffe, then Lady Mary Hudson, n�e Mary Elizabeth Milner (d 1963). Biog: G.B.E. (1918); eldest daughter of Robert Milner, of Kidlington, Oxon; m 1stly (1888) Alfred Charles William Harmsworth, 1st and last Viscount Northcliffe, journalist and newspaper proprietor (d. 1922); m 2ndly (1923) Sir Robert Arundell Hudson. Biog: Burke's Peerage; The Times, 31 July 1963, p 12e & 22 August 1963, p 14f.